I still would have liked to see the Twingo be in the Academy and not the Fiesta. Is there a special thing that breaks on the Fiesta. In the Uk the Twingo has beaten the Fiesta easily, so it seems to be quicker, and maybe also more reliable. Sulland wrote: Is there a special thing that breaks on the Fiesta. In the Uk the Twingo has beaten the Fiesta easily, so it seems to be quicker, and maybe also more reliable. In all honesty, the Twingo should be the car used for the Academy. Ford/M-Sport have their fingers in too many pies; WRC, S2000, R2 Academy. It seems as if the fastest driver won't win the Academy, but the most fortunate. At this stage in a drivers career, I want to see who has the pace, the consistency can come later. Which is why I don't think too much of these Titles - I mean only Loeb/Ogier and maybe Sordo of J-WRC winners have done anything. AndyRAC wrote: It seems as if the fastest driver won't win the Academy, but the most fortunate. At this stage in a drivers career, I want to see who has the pace, the consistency can come later. Which is why I don't think too much of these Titles - I mean only Loeb/Ogier and maybe Sordo of J-WRC winners have done anything. It is only one of the reasons why I don't think too much of these titles. OK, what shall the WRC do, because my thinking is newcomers should not do WRC at all. For one it is what Andy says. The other is that 2WD atmo cars are too remote in driving physics from WRCars. For me the classic way is still the best, like Colin McRae and Richard Burns. This means the national championships need cars similar to the WRC (the BRC doesn't want to breed new stars any more it seems) and if a Colin or Richard can win there in state of the art cars, they can come out and prove their worth on WRC level. This is maybe wishful thinking, this is maybe once upon a time, but when I see Antony Warmbold's blog, he thinks one of his biggest mistakes was to go into the WRC in a WRCar way too early in his career. And that tells me the old school thinking is still correct. Malcolm Wilson and Olivier Quesnel seem sometimes strange in their thinking. But look how Fréquelin found Loeb, how Provera found Grönholm, how Mini now found Meeke. If I was a team boss and had tro chose a potential WRC star for my works team now, one name on my list would be Matti Rantanen. Why? Kaur is fast in a 140BHP Fiesta, but that does not tell me if he can handle 4x4 turbo and tripple the power. Wilslow is, well, near 80 WRC starts and still no podium, why should I believe there is any potential for improvement in this guy? Rantanen does well in his national championship, had 2 starts in a Focus WRC, once 7th, once 5th, he is the guy who can make my product look good with results better than anybody expects! AndyRAC wrote: I mean only Loeb/Ogier and maybe Sordo of J-WRC winners have done anything. It's even worse, Andy! Loeb & Ogier both had a Citroen works contract before they were JWRChamps! Loeb drove a Xsara in the FRC before he ever started a JWRC round! See, the classic Colin/Richard way. Maybe that is the only way JWRC made sense. The guy was driving a Xsara at home already, Fréquelin saw the potential and driving S1600 cars was a comparatively cheap way of let him get to know WRC events. But it certainly was not vice versa, Loeb was not a Citroen driver because he won JWRC, Loeb did JWRC because he was in a Citroen contract already! That leaves Sordo maybe as the only lucky guy to have made a career of JWRC. Very lucky guy. 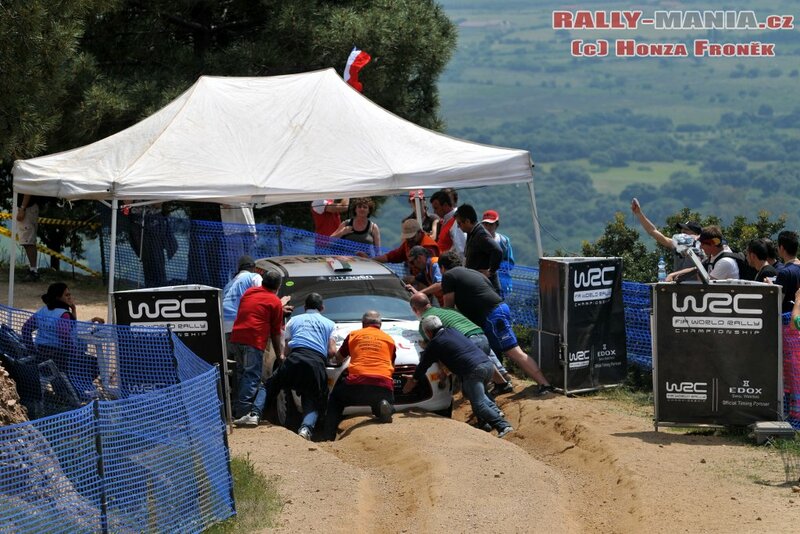 I thought in JWRC Daniel Sola was at least as impressive, where is he now? Tirabassi? And I don't even know who else won the JWRC! Next Rally is Finland, and I think Kaur is going to win this one. I have a feeling that Kaur is going to win the academy. 2012 calendar is revealed and the regulations are identical to this years. Edit: Breen won and is going to use that 500,000 EUR on a S-WRC program. Now the FiA decided to rename this support category to Junior WRC. This new series is the WRC Academy with a new name. Same car which is the Fiesta R2 prepared by M-Sport's Polish subsidiary. Though it is still expensive, as one person on another forum said that 5 former IRC events in a Super 2000 car is actually cheaper than the Academy, yet the JWRC events are not even the full event. Junior WRC will still be 2 day events with the 3rd day being used for "evaluations." Would liked to have seen another Manufacturer get the contract. M-Sport/Ford...yawn......what about Renault, or Toyota....there is always a chance they can use this series to gain experience of the WRC, then maybe join it with a WRCar a few years later. Renault is only interested in R cars and not WRC. Toyota is already planning a WRCar for 2014. The prize for JWRC is 5 starts in WRC2 (formerly SWRC). Looks like Sordo will be joining Citroen next year, as he seems to prefer a partial season with Citroen than a full season with M-Sport or Prodrive. He has also confirmed that he will be leaving Prodrive.